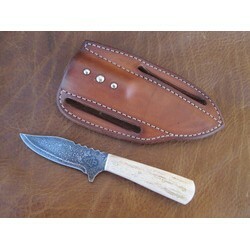 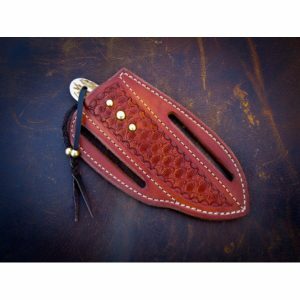 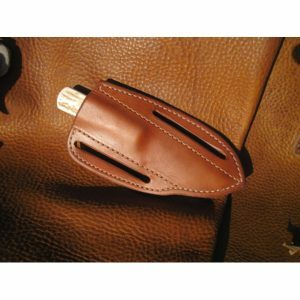 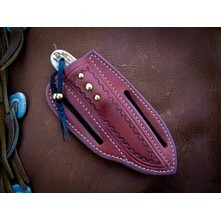 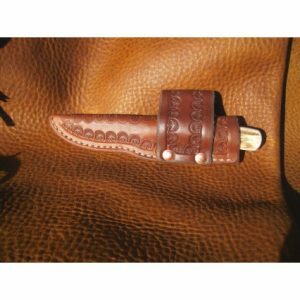 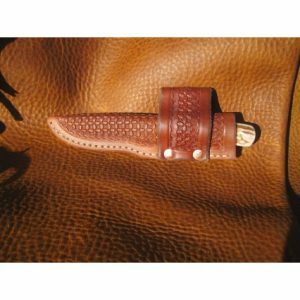 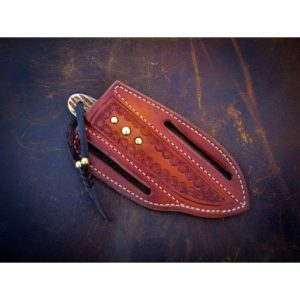 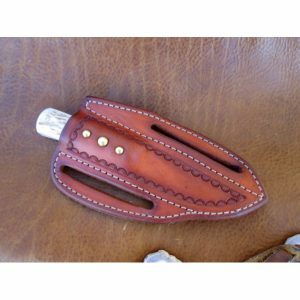 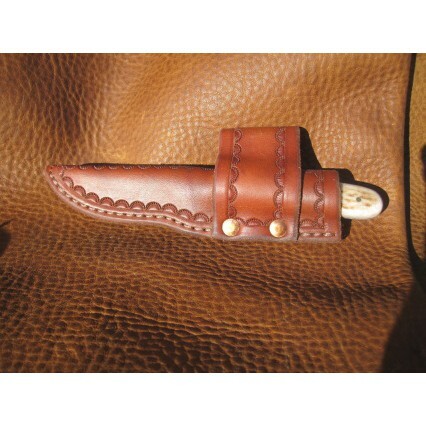 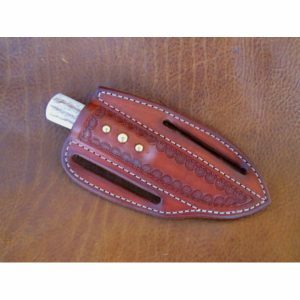 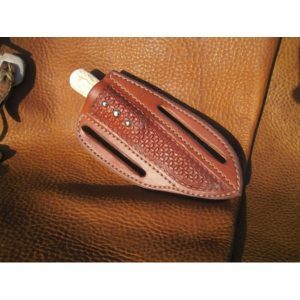 The Shark Tooth sheeth fits horizontally on your belt, and it is designed to hold the knife in place. 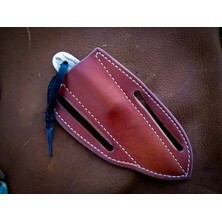 It allows easy access, and is always out of the way. 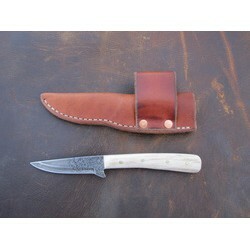 This handy knife has a 2 1/2" blade and an overall length of 6".